On July 20th, 2018, six teams of the interdisciplinary seminar “Interactive Analytics” presented the results of their final project in the KD2Lab at KIT. The practical seminar is carried out in cooperation between Institute of Information Systems and Marketing (Research Group ISSD, Prof. Mädche), TECO / Chair of Pervasive Computing Systems (Prof. Beigl), and KPMG AG as part of the Business Intelligence & Analytics Lab (BIAL) research project. 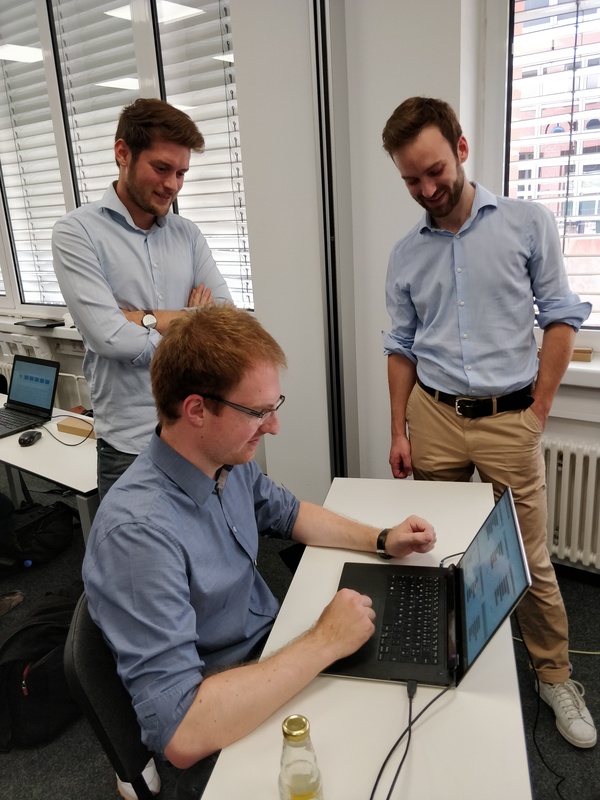 In the Interactive Analytics seminar, students design running interactive analytics prototypes by leveraging state-of-the-art eye-tracking technologies (IISM projects) and wearable technologies (TECO projects). Moreover, they worked in interdisciplinary mixed groups consisting of computer science, information engineering & management and industrial engineering & management, which helped them to approach the design challenge from a technology and business point of view. The results of the students were well received and constructive discussions were triggered during the final presentations and demo session.